There were also a couple of real life DeLoreans on display out in front of the theatre, and the movie inspired people to stand out there and stare at them after the movie. Neither one of them was equipped with a Flux Capacitor, however. That’s not to say that you might not run into one like that around here, though. I took the accompanying photo at the World of Wheels show in Kansas City, this year. Joe Pace from Paces Auto Body built that dead-ringer replica many years ago, and his car has become quite well-known nationally in DeLorean and Back to the Future circles. I believe that car was actually on display at the theatre in Olathe during their Saturday showing of the movie. Although the DeLorean DMC-12 will always be associated with the movie, that obviously wasn’t the original intent of the car. Designed in the 1970s, the Northern Ireland-built DeLorean was sold for two years, 1981 and 1982. More than 9,000 of the stainless steel-bodied cars were built, sold at a fairly hefty cost of $25,000 per copy in early ‘80s dollars. The company history could almost be the makings for a Hollywood movie. 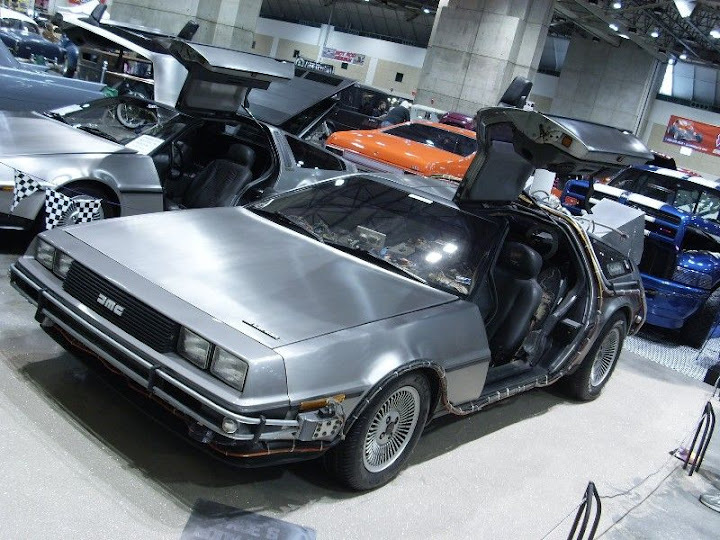 Former General Motors golden child John Z. DeLorean was the father of the project. DeLorean was a natural salesman, and was able to wrangle enough money from celebrities and other investors to get the ambitious project off the ground. The DMC-12 was certainly modern and radical, but not exactly the finest sports car ever made. The French-built Peugeot-Renault-Volvo V6 engines weren’t going to set the world on fire, and quality and build problems plagued the car from the start. Adding to the issues was the investigation and subsequent arrest of John DeLorean on drug trafficking charges, sending the company into bankruptcy in 1982. The car was discontinued after that. Parts and dies were lost and destroyed. It seemed as though the DMC-12 had reached the end of the line. But then in 2007, DeLorean restoration parts supplier “The DeLorean Motor Company” announced that they would start cranking out new cars with NOS and reproduction parts. These cars look a lot like the original DeLoreans, but are supposed to have some modern improvements. Prices start at $57,500. I don’t know that I’ve actually seen one of these, but they still offer them on their website. 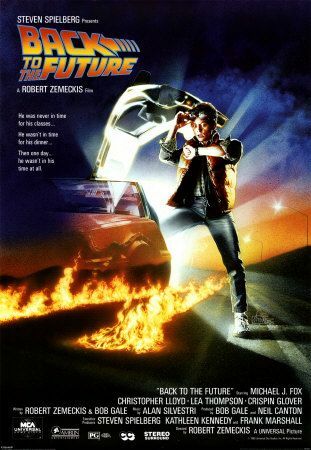 Even though Back to the Future was a fun, somewhat lighthearted movie, it received plenty of critical acclaim. It was also the biggest movie of 1985. The limited 2010 re-release coincides with the new DVD and Blue Ray release of all three Back to the Future films. Getting to see this movie in the theatre again was actually pretty fun. I won’t go through the plot, because I assume most people know it, but everyone was excited to be there. It was one of those deals where people applauded and cheered during the showing. George punching out Biff brought the house down. Anyway, there are a few Back to the Future DeLorean-centric photos accompanying this story to kind of get you in the mood to watch this on your home theatre sometime soon. And for more authenticity, you probably should get a DeLorean of your own and park it in your driveway while the movie is playing. Better link to the pictures here.